Geneva Sound System Model XXL Goes Big! 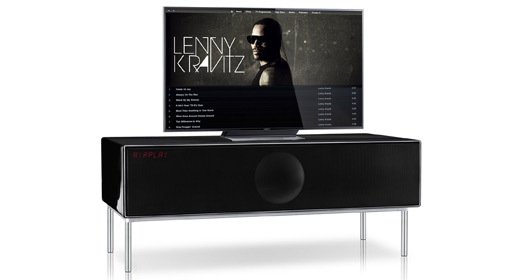 THE GENEVA SOUND System Model XXL ups the ante in all-in-one music centers. 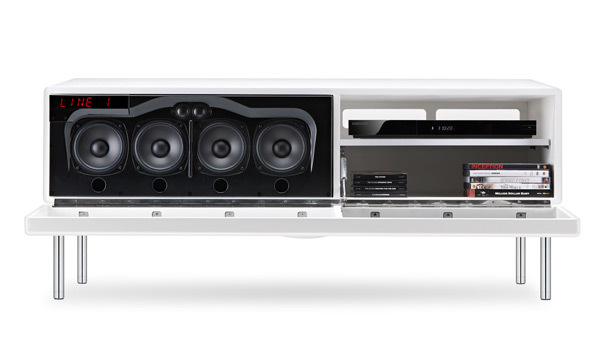 The big Model XXL is both a powerful home theatre system and a high-fidelity music system housed in a single furniture-grade cabinet. The Model XXL seems to be a very modern interpretation of the retro music cabinets of old. The Model XXL’s cabinetry is basically high quality hand-made furniture, which takes more than a week to complete. The piano lacquered cabinet comes in a choice of red, black or white. The Model XXL features Apple Airplay for wireless music streaming from iPhone/iPad/iTunes as well as Bluetooth wireless for other smartphones, tablets and computers. Internet radio access allows streaming of more than 10,000 internet stations in addition to a built in FM tuner. Connection to a television is made using HDMI. The Model XXL integrates 400 watts of digital amplification, powering seven speakers, with a powerful 8-inch subwoofer for bottom end weight. Each speaker has its own dedicated amplifier and acoustic chamber for accurate and balanced sound. The Model XXL fuses all the audio and furniture into one streamlined sideboard, seeing as it’s also a TV platform, designed to hold up to a 65-inch flat screen. There is also interior storage with space for to hide components such as a satellite box, game consoles or DVD players.